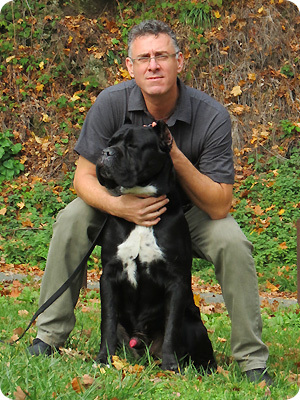 My line made up of very strong line, The Dyrium line, from the original capital of the cane corso Italy. Simon (It.+ Rep Ch.) from Simona Tanzarella, Yurak + Cloto (It.+Rep. Ch.) +Eden (It. Ch.) from Elmi Kennel, Bayron (It.+Rep. Ch.) from La Valle dei Lord Kennel and Cheno from Della Porta Dipinta. Other famous dogs (It. Rep Ch) in my blood line are Plud, Claus, Saida, David and Quasar. We can see toady in more and more countries cane corso as a boxer’s type, mastino type, bull mastiff and Great dane type… I am thinking that preserving the correct type is a very important mission..
As a veterinarian I believe that the most important is to keep the correct type but with healthy and with balance character of a working corso dogs. The correct type from my point of view mix strong and very muscular but elegant and athletics. The type of the head is the most important to me!! I am dealing with quality and not quantity; I have only few litters every year. As a veterinarian and a breeder the health of my dogs is the most important thing for me. Very special thanks for a wonderful family (Elmi Kennel): Patrizia Colosimo, her husband Gian Carlo and their daughter Denise for taught me about the real cane corso type. I wish you all, a lot of success.